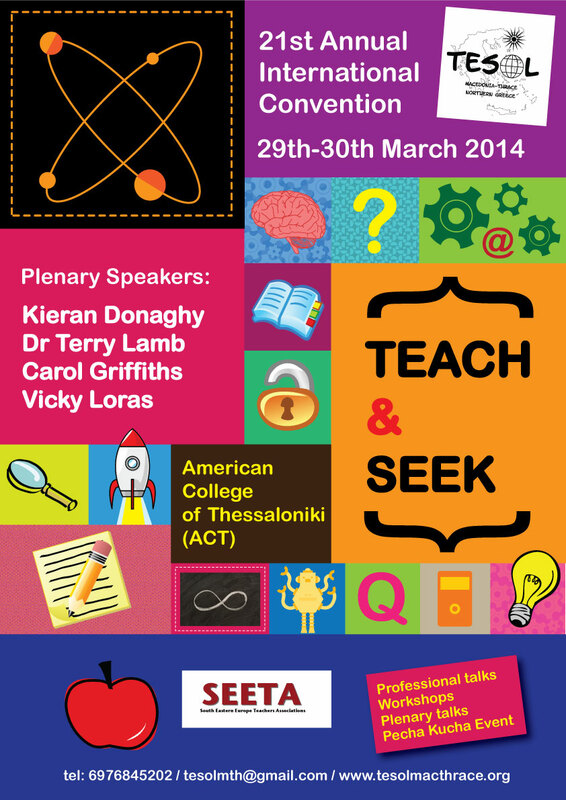 There is a wonderful conference coming up in Thessaloniki, Greece, on March 29-30 – organised by the hard-working and tireless team of an amazing association, called TESOL Macedonia-Thrace. I am so honoured to be doing my first plenary talk ever, and in Thessaloniki as well, where I lived for almost four years and went to university! An event not to miss on Saturday evening! There will be not one, not two, but SEVEN Pecha Kucha sessions! I am so excited about this. 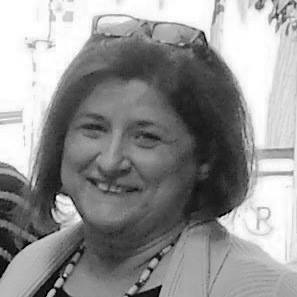 The MC for the Pecha Kucha will be Margarita Kosior, who is also the E-Bulletin Editor for TESOL Macedonia-Thrace. And there will be lots of workshops and talks during the two days of the conference. Here is the Preliminary Programme 2014, so you can choose your sessions. I am looking forward to it – this is going to be a conference definitely not to miss! Thank you so much, everyone at TESOL Macedonia-Thrace! Maria Vrachliotou and Efi Tzouri are two amazing ladies, who work at the Library of Serres, in Northern Greece! They captured my heart and many other educators’ on social media and around the world, and have captured children’s and parents’ hearts with all their outstanding work. 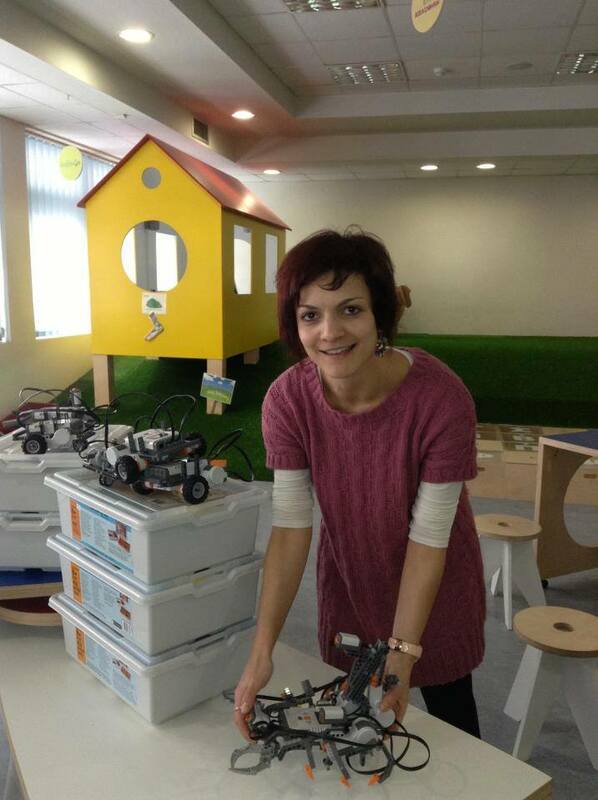 When I first saw the things that they do at the the Library of Serres in photos on Facebook, I felt so inspired and every time I am so excited to see the activities they do with the children! Congratulations to you both, Efi and Maria! 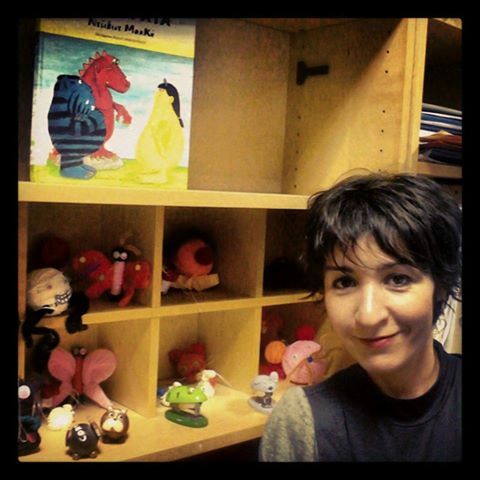 Vicky: Efi and Maria, thank you so much for this interview on my blog. We have never met in person, however, there is a possibility we will meet up soon! Efi: Thank you very much for the invitation. It is an honor! Maria: Thank you for inviting us to your “digital world”. Vicky: My pleasure! Let’s start with something I ask everyone I interview – I love to see how they got involved in education. How did it come about for you? Efi: I used to work at summer camps for children after having graduated from school. There I realised, first of all, that working with children is more than exciting, and second and more important that sharing your knowledge is like opening a door to a world of imagination. I decided to study English literature because I would be given the chance to open this door. Maria: It came naturally and with no planning at all. After the renovation of our children’s library, by the Stavros Niarchos Foundation through “Future Library”, I wanted to commit myself to something creative, so I preferred to work with children. 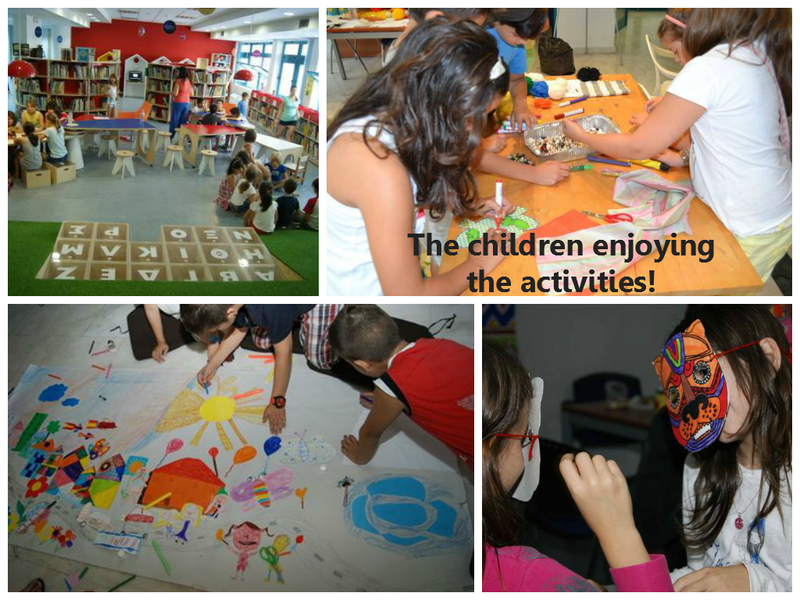 All our library activities have educative and creative characteristics and promote reading, knowledge and fantasy! Vicky: Both stories sound so interesting! You are both involved in an amazing programme for kids, which takes place in the Public Library of Serres, in the north of Greece. How did this start and can you share some snapshots of what you do? Efi: I became involved as a volunteer in the first summer campaing which took place at Central Public library of Serres under the support of “Future Library” . I participated in various activities and projects which, as Maria mentions, promote creativity, cooperation and above all imagination. I feel really lucky that I met Maria who supported me, trusted me and believed in me. 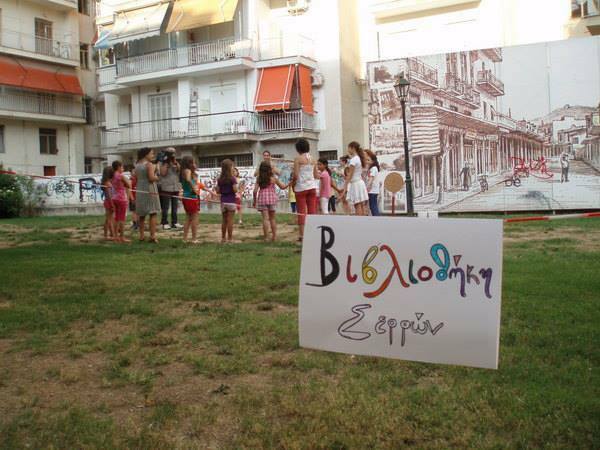 Maria: Since 2011, our library is a member of Future Library, a network supported by Stavros Niarchos Foundation. FL’s main role is to promote creativity and innovation in all public and municipal libraries of the country. Consider Future Library as a great project consisted of partial subprojects, such as: renovation of library spaces (children’s libraries, medialabs), educative seminars for librarians, summer reading campaigns, just to name some. The programme for kids you refer to is the summer reading campaign that every summer takes place in our library and is devoted to those children and youngsters who stay in the city during vacations. 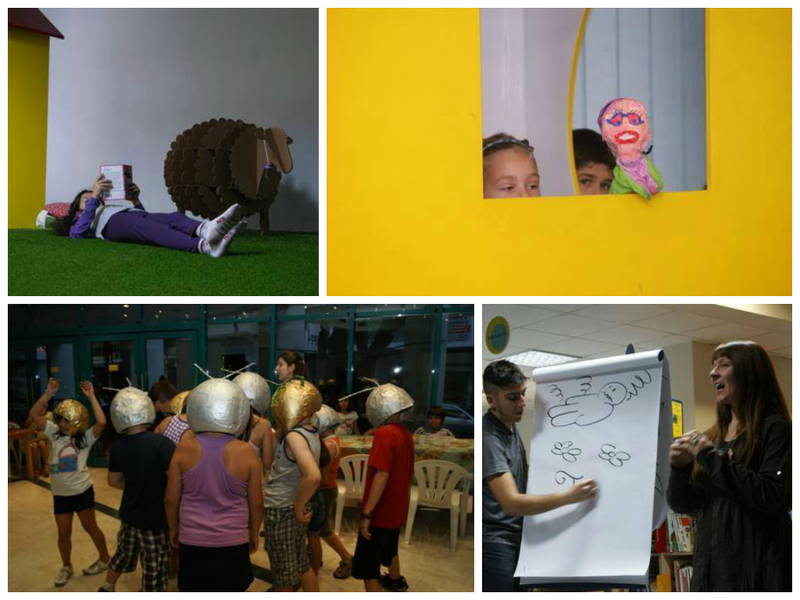 All activities aim to promote creativity, love for books, knowledge and of course, FUN! My main role in all this is to manage the whole campaign, from finding the volunteers, to creating the program and promoting this initiative wider to the public. I also supervise the summer campaign at 11 libraries in north Greece and Thrace, helping them with problem solving and promotion tactics. Vicky: What other plans are there for the future at the library? Efi: We live in an era that people cannot make plans for tomorrow. My personal “plan” is to continue dreaming about a world in which children will be happy and will have free and entire access to knowledge. I will keep doing my best in making kids’ faces smile. The most important thing in order to make plans for the future is to cooperate with people who have the same dream;to make a better world. Maria: No plans for the future. I only wish that we will keep on providing services of high quality to all and we will adapt to the changes and the needs of our users. Vicky: I absolutely agree and hope for the very best. I am sure this kids will continue to ejoy learning and coming to the library! Going on to another subject now, there is a lot of discussion about whether libraries are becoming obsolete, what with the emergence of electronic books and such. As you both work in a library, can you give us your insights? Where does the future of libraries lie? Efi: Technology is constantly being updated in order to serve the needs of young people who keep up with the latest mobile applications and digital tools and love to be informed, to chat, to make friends through social networks. In a Facebook generation ebooks definitely make the process of education more attractive. Libraries should and must follow this whole new perspective of receiving knowledge and updating their services in order to attract more young readers. Maria: Ebooks represent and amazing educative tool in the hands of librarians. They can “talk”, excite the senses, use multimedia applications and be easily accessible. They shouldn’t be considered as a threat, but as a means to promote reading and support traditional books, that due to their material lack some of the above characteristics. Ebooks should be embraced and not rejected. After all, they are a part of the future. They still are books…Imagine a future world where ebooks were the norm and suddenly, printed books appear as a way of alternative reading. I am almost sure that the reaction of readers would have been the same: negativity, suspicion and rejection. The duty of librarians is to help readers to become accustomed to new “technological expressions”. Vicky: You share and interact a lot on social media. Do you think social media help educators and the field of education in general, and if yes, how? Maria: I see social media as a way of communicating easily and instantly with people around the country and the world. In the library we use them mostly as a promotional tool of our work and activities, but also as an informative tool on books, reading and library news. For educative matters I think that Efi could share her experience with us. Efi: Digital and literacy tools created a totally new perspective on how education is delivered to learners. On line courses and conferences give a great chance to access knowledge. On line communities have been created in order to share, collaborate, exchange ideas and help educators discover their skills, improve their work. I have the feeling that nowadays educators should feel more optimistic, creative and strong than ever because their passion to share their knowledge and their efforts to pass it to learners can be supported, enhanced and evolve by the use of such a powerful tool that is called social media. Vicky: What is one of your dreams for the library of Serres in the next few years? Efi: One of my dreams is to continue giving children the chance to smile and making them feel happy. Despite the fact that the current situation is not at all positive, I will keep on working with love and patience, as Maria says. Staying together, helping each other, collaborating, creating and innovating make us think positive about the future.Things will change to better ones in the end. Maria: The last years my main concern is for my library to find resources that will give its staff the needed space to provide better services for all and to follow the technological advances. I fear about the future of libraries in Greece, but I will keep on dreaming and hoping as I know that the personnel of the libraries work everyday with love, patience and many times, with personal sacrifices, in order to keep a high level in services, especially now that everything undergoes a serious crisis. Vicky: I hope everything goes very well for education in general, and for your wonderful library! Thanks so much for this wonderful interview, Maria and Efi – see you soon! Efi: Thank you so much dear Vicky! It was a great pleasure!! Maria: It was nice to “digitally” talk to you. Hope to see you soon in person. Thank you!! !